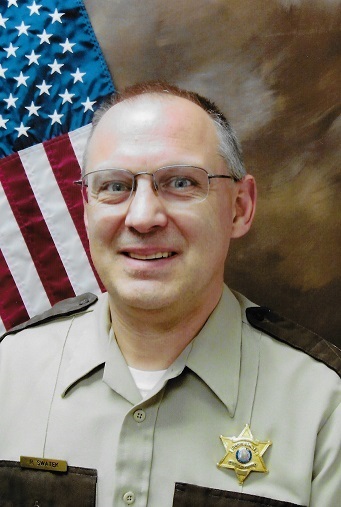 Randall J. Swatek: 58, of Elkhorn, WI died unexpectedly Monday January 28, 2019 in Lake Geneva, WI. He was born March 19, 1960 in Elkhorn, WI the son of Donald F. and Ester L. (Gruetzmacher) Swatek. He graduated from Elkhorn Area High School with the Class of 1979. He then attended Gateway Technical College in Kenosha, WI and graduated with a degree in Police Science. He has been employed as a correctional officer with the Walworth County Sheriff’s Department for over 32 years. Randy enjoyed woodworking and the great outdoors; including camping, fishing and scuba diving. He loved his dogs and was involved with the organization called Pets for Vets. He is survived by his three children: Jacob Swatek of Laguna Niguel, CA, Benjamin (Kayla) Swatek of Kingsville, TX and Melissa (Will) Fortenberry of League City, TX, three grandchildren: Emily Swatek, William and Ryan Fortenberry, His mother: Ester Swatek of Elkhorn, WI, two sisters: Pam (Tom) Gerber of Marana, AZ, Judy (Dave) Brueggeman of Union Grove, WI, one brother: Bob (Jodi) Swatek of Elkhorn, WI, nieces and nephews, and his brothers and sisters of the Sheriff’s department family and by a host of other relatives and friends. He is preceded in death by his father: Donald F. Swatek. Visitation will be 1:00 PM to 5:00 PM Sunday February 3, 2019 at Haase-Lockwood & Associates Funeral Home and Crematory 730 N. Wisconsin St. Elkhorn, WI. Funeral service will be 10:30 AM Monday at the funeral home with Deacon DeSales Wisniewski officiating. Burial will be at Mt. Pleasant Cemetery Tibbets, WI. Memorials may be made in Randy’s name to: Walworth County Sheriff’s Office K-9 unit 1770 County Road NN Elkhorn, WI 53121. On-line guestbook is at www.haaselockwoodfhs.com.